Perrette, who is ending her run as forensic scientist Abby Sciuto at the end of Season 15, is speaking out after noticing that her image has been used without her permission in ads for skin care lines. Some of the promos even claim that Perrette is leaving the hit CBS procedural in order to focus on cosmetics, which the actress says is categorically untrue. Perrette also recently appeared on “Inside Edition” in order to help spread the word about the apparent scam. When Perrette announced last month that she would be leaving “NCIS,” she was not specific about why she was moving on from the popular show. She did say at that time that it wasn’t to pursue a new career path in the beauty-products field, but evidently, those ads haven’t gone away. “There have been all kinds of false rumors as to why (NO I DON’T HAVE A SKIN CARE LINE…” she tweeted on Oct. 3. Her latest tweets are below. “NCIS” airs Tuesdays at 8/7c on CBS. Six weeks into the 2017-18 TV season and we've got a pretty clear snapshot of what shows are flush and which are busts. TheWrap has ranked the 16 highest- and 15 lowest-rated (there were ties, chill) television series based on their Nielsen ratings to-date. To be fair at both ends of this study, we did not include any shows with fewer than four episodes to calculate. That hurt "Young Sheldon" and saved "SWAT" -- so you're even here, CBS. By the way, we looked at just entertainment series only, so no sports or news programming. That eliminated all NFL games and shows like "60 Minutes." All ratings in this story come from Nielsen's "most current" data stream, which includes a week's worth of delayed viewing where available. This Is... TV's top show. And spinoff "Young Sheldon" would have been No. 3 on this list, but the new sitcom's two-episode to-date count eliminated it. "Good Doctor," GREAT ratings. The clear breakout hit of 2017-18. After all these years, the revived sitcom is still "Must-see TV," based on its early Nielsen returns. This patient just won't die. Don't tell Lucious and Cookie Lyon (or Dana Walden and Gary Newman, for that matter) their "Empire" is crumbling -- because it's clearly not. The hills are alive with the sound of music, and so is NBC's singing competition. Who needs Emmys when you still haul in this type of viewership? See: "The Voice." Then flip your daily calendar to Tuesday. The title is apt for this reality hit in its 35th season. That is not a typo. Series: "Law & Order: SVU"
Judging from its enviable viewership, you can't even tell the show's two biggest stars left before this current season. This wouldn't have been a very good rating in the '80s, but it is now. Seth MacFarlane can thank Fox for a very gracious launch time slot after the NFL's opening Sunday game, which is why this drama (yes, it's a drama) makes the list. A "Star" is born? More like a "Star" has an "Empire" lead-in this season. "Chicago Fire," "American Housewife," "The Gifted," "NCIS" and "SEAL Team" just missed the cut -- each currently averages a 1.9 rating. Now, on to the bad ones, ranked from worst to incrementally less awful. The worst gift this holiday season. Exorcise this Friday show from Fox's schedule already. Series: "Ten Days in the Valley"
More like "Four Hours in the Time Slot." That's how many episodes "Ten Days" got before being banished to Saturdays. Series: "Once Upon a Time"
You had to really believe in fairy tales to bring this one back for another season. Series: "America's Funniest Home Videos"
We can't make fun of this one, somehow still plugging along in its 28th actual year. Yeah, this show has been on ABC since 1989. Series: "Kevin (Probably) Saves the World "
It's a Friday show, but even Les Moonves can't save this one with a paperclip and some chewing gum. Not a great show, not even decent ratings. Star Tom Ellis would have to make a deal with the Devil for a fourth season. Series: "Last Man on Earth"
Burn in Hell alongside Lucifer. Don't even bother running for reelection. Series: "Me, Myself and I"
Nope, No and Not a chance. 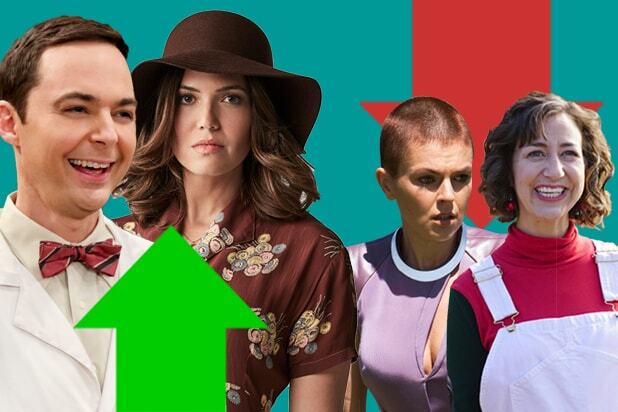 "Brooklyn Nine-Nine," "Fresh Off the Boat" and "Wisdom of the Crowd" managed to escape damnation here -- each of those three shows have a 1.3 average. 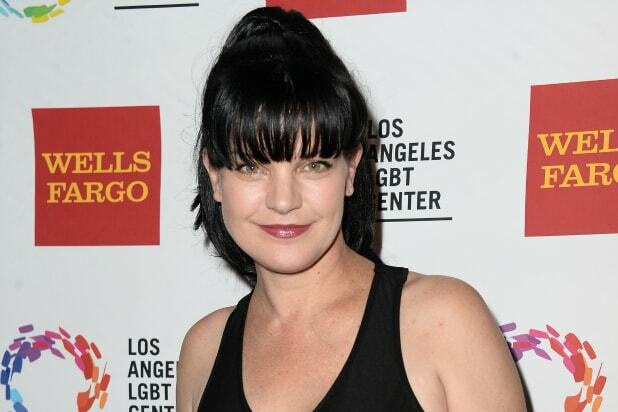 Can ‘NCIS’ Survive Without Pauley Perrette?